A note to any new readers: while we often delve deeply into financial topics (such as Behind the Scenes of a Happy Frugal Marriage and How We Save 65% Annually), we also like to keep it irreverent and downright silly. Because hey, who doesn’t need an investigative interview series conducted by a dog?! And so, I hope you’ll enjoy Frugal Hound Sniffs! 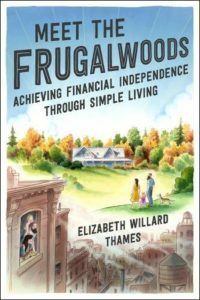 If you’d prefer a more, ahem, financial independence-related post, check out More Than You Ever Wanted to Know About the Frugalwoods Family. Frugal Hound here. Today in my bi-weekly Frugal Hound Sniffs column, I am beyond pleased to be sniffing a cat. In my opinion, a cat is an animal that should be sniffed in person and I’ve registered this request with my humans. It seems unjust that I’ve only electronically sniffed this cat. Today’s cat is none other than Kitty PoP from the venerable Planting Our Pennies! 1. Who Are You? What Are You? And Who Are Your Parent(s)? 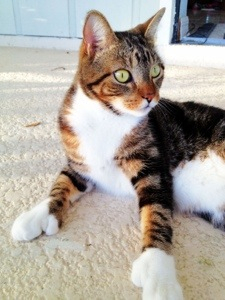 My name is Kitty PoP, and I am a short-haired, polydactyl (I have 2 extra toes on each of my front paws) tabby. I’m not sure who my parents are as I was found abandoned in a drainage ditch when I was just a tiny kitten and don’t remember much about those days. But I’ve been living with a couple of nice much larger cats named Mr & Mrs PoP for awhile now and they’re pretty cool. 2. What frugal tips and tricks does your human use in your pet care regime? Oh jeez they buy in bulk for me. Kitty Litter packages weigh about 4x what I do and Mrs PoP likes to buy them at least two at a time for discounts! She’s not quite as crazy when it comes to buying my kitty kibble, but that still comes in packages that are almost 2x my body weight. But I can’t complain too much. Whenever we get a new package of kitty kibble, it’s so much fun to climb in the paper bag after the kibble has been emptied into its airtight bin. That bag is heavenly; it smells just like kibble and makes the best crinkling sounds! My favorite treats are whatever reptiles or bugs I manage to find outside on our lanai. Not only are they a ton of fun to chase around and kill, but they’re sometimes pretty crunchy going down and it’s fun to watch the lizard tails keep squirming around after I pull them off the rest of the critter. It’s a snack AND entertainment! Oooh, probably Dollar Monkey. Though Highlighter Monkey (Dollar Monkey’s bright orange second cousin from the dollar store) is pretty awesome too. And I still have a soft spot for the first toy the PoPs got for me, Monkey. I really do have a thing for stuffed primates. 5. What’s the most expensive thing you’ve destroyed? I put a few good bite marks in the couch, but Mr and Mrs PoP keep using it so I’m not sure it qualifies as “destroyed”. Beyond that, I’ve chewed through some Apple headphones (Mmmmm – I like it when they’re salty with sweat!) and also chewed through some patio screening when there was a tasty looking bug on the other side. My teeth are pretty sharp and I know how to use them. *sigh* I hate to admit it, but falling in the pool. It was SOOOO embarrasing (not to mention slippery!) to run through the house soaking wet looking for Mr and Mrs PoP for some comfort after pulling myself out of the pool. I should really be above needing that kind of comfort, but it was just so wet and miserable I couldn’t help it. 7. How often do you get a bath and would you say it’s too often? I don’t get baths, I self groom – and very often. I’m a very clean cat. But I do try and give all my monkeys baths as often as I can. Whenever Mr or Mrs PoP leave the toilet seat up (though the water dish will do in a pinch!) I try and grab one of my monkeys (the smaller ones are the easiest since Dollar Monkey gets a little heavy when he’s water logged) and give him a good few dunks. 8. What is your family’s financial plan or goals and how do you contribute? Mr and Mrs PoP aren’t really the biggest fans of the 9-5 corporate grind, so they are trying to plant their pennies and invest so they can escape sometime in their thirties. I’ve tried to help with some of their DIY projects, but that hasn’t ended all that well. Now I’m trying to develop my skillz so I can become an internet superstar and earn some cash that way. I’ve been working on my tricks and I can high 5 and pick up kibble in my giant mitten paws and bring it to my mouth to eat it (Mr PoP says it’s “creepily human” whatever that means), but Mrs PoP is really going to have to work on her videography skillz if I have any chance at this plan working out. It’s just impossible to be the talent and run the camera! 9. What is your best skill? Mama PoP says I’m pretty good at modeling and has suggested I become a cat model. Maybe if the youtube superstar thing doesn’t work out I’ll look into it. What do you think of some of my portfolio so far? Kitty PoP, you are quite dashing in your little tie and lion’s mane. I too am a model for a blog as well as a failed video star. My parents do not understand how to film me either. And so, in order to advance my modeling career, I recently created this photo diary entirely of moi. Mrs. Frugalwoods here: I want to thank Mrs. PoP for submitting Kitty PoP’s adorably informative interview! 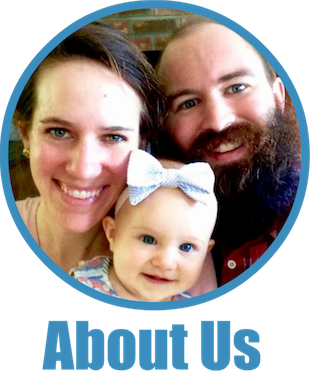 Planting Our Pennies is a fantastic blog all about money, happiness, and kittens. What could be better? Head on over and check out Mr and Mrs PoP’s writing if you haven’t already! Frugal Hound was delighted to sniff Kitty PoP!! And, yes, I think he does need his own photo diary. Any cat that can pull off a tie that well should be shared with the world. Awww, I’ve mentioned it before, but I love double-pawed kitties. And the way Kitty PoPs are, it really truly looks like a thumb or a hand in a mitten. Seriously! Those are some huge (and cute) paws! You guys are a riot. Let me know if you want to profile my dog Pablo, the freeloading genius! Ohh the Kitty PoP is so cute and adorable! I love this idea of yours by the way. Keep it coming! Agreed, Kitty PoP is awfully cute! Glad to hear you’re enjoying the series–there are plenty more interviews coming your way every other week :)! 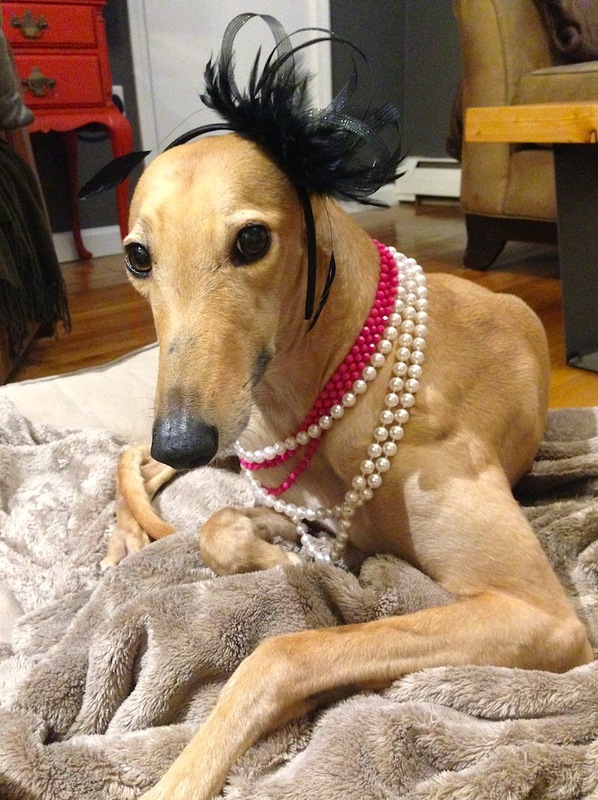 Reading Frugal Hound’s posts are always refreshing and entertaining. I love what you guys have going on here! I knew you’d appreciate the additional feline love from Frugal Hound :). Ewwww bug eaters! Frugal Hound has actually never eaten a bug–she saw one once in the house and ran away scared. Not an effective guard dog. Love the pics of KittyPop and his penchant for toy monkeys 🙂 I’m sure KittyPop was all sorts of embarrassed after falling into the pool! I bet! Poor cat. But I bet it was hilarious…. Certainly! We’d love to feature Perlemus! Just fill out an interview and send it my way (with photos :))! I love Kitty PoP’s mitten paws!!! Haha so many hilarious pics! So funny about the ladder too. I should see if our cats will climb ours. I can tell you that Frugal Hound would never climb a ladder :). Your cats should submit a Frugal Hound Sniffs interview! This was sooo cute! KittyPoP is adorable! It would be interesting to see if my cat would climb a ladder, she climbs everything else! She was a pretty agile drapery climber as a kitten…now she’s a daredevil and walks across the railing overlooking the basement stairs. Cats are so much fun and I seem to have found a frugal one. Her fave frugal toy and bed is any kind of cardboard box. Drape climber! Cats are so fun to watch. 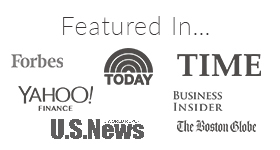 You should have your kitty submit a Frugal Hound Sniffs article :)! I have been. Fan of Kitty Pop for a while now and am glad to get to know him better. Same here! He’s one fabulous cat! Nice one, the PoPs are pretty great. However, I’ll bet Kitty PoP never allow herself to be subjected to wearing pumpkins or cowboy hats. Kitty Pop is so pretty and talented and with those big mitts she can be very versatile. Tearing the tails off poor lizards is seriously jaded and fun all rolled into one.